Do you currently use Property Management software? The property management profession encompasses many different operations and responsibilities; property managers must manage accounts, accept legal documents and rent, maintain the physical plant, operate within a budget, advertise vacancies, and manage the lease lifecycle. It can be difficult to efficiently manage these responsibilities with manual business tools like spreadsheets, email, or paper. Property management software — sometimes casually referred to as landlord software — automates key processes and brings operations together in a unified system. This guide will help you compare property management systems by defining the common forms and features of the technology, as well as analyzing case studies from 4 top solutions in the industry. Part of the difficulty in selecting the best property management software comes from the sheer diversity of the market. There are solutions available for small and large-scale use in a number of subgenres, including multi-family housing, single-family housing, homeowners associations (HOAs), vacation/short-term rentals, commercial property management, and self-storage facilities. Some solutions even offer more advanced budgeting and forecasting features to manage real estate investment portfolios. The larger portion of the market is dedicated to residential rental property, which makes sense, considering 35 percent – over 43 million – of U.S. households live in rental housing of some kind, and 42 percent of thosehouseholds live in communities with five or more units1. This broad client scope mixed with the conventional demands of running a business make high-quality software a crucial asset to property managers. Some property management solutions fall into the “best-of-breed” category, meaning they specialize in serving a specific aspect of property management, such as online rent collection, computerized maintenance management (CMMS), or marketing and advertising. This is especially true where you find tools billed as landlord software. While these tools can help landlords and leasing companies perform well in certain areas, they are only valuable insomuch as they integrate with larger workflows. An unseasoned software buyer can often end up using –and paying for– eight or nine different systems to manage one community. Often, the better strategy is to find a solution that addresses your property management needs from end-to-end. In the industry, these are referred to as “software suites” or “integrated systems.” Purchasing a software suite, of course, means you’ll need to evaluate any legacy applications. Are you satisfied with their functionality? Will they be duplicated by a new system? Some vendors also offer modular pricing, which means you pay only for what you use and can select and add features as needed. This can be helpful if you want to address multiple operational areas without paying for an enterprise product suite. No matter your inclination, make sure you read property management software reviews and run a free trial or demo before making a decision. As with any business software vertical, the property management market is home to a handful of free or open-source options. These are usually designed to give private owners, landlords, and growing firms the chance to work efficiently without committing to a monthly subscription rate or heft upfront licensing fee. Most of these are limited to basic rent-collecting features and document management, and free software vendors aren’t known for their longevity or reliable customer support. 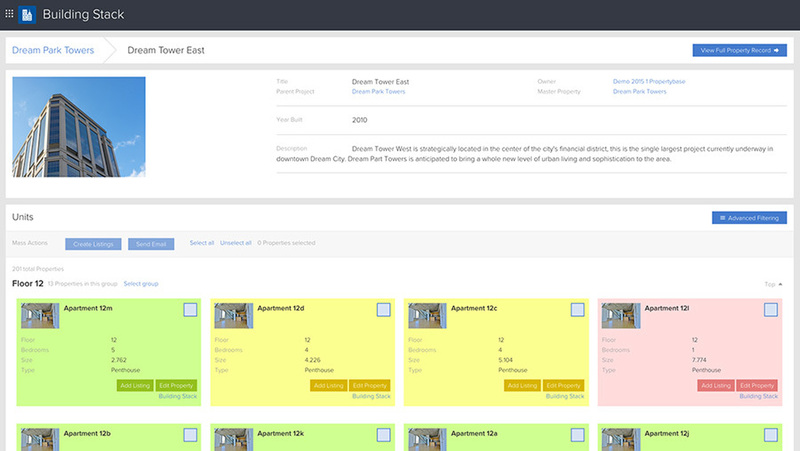 Free property management software is certainly not the best choice for every use case. If your operations span multiple locations or involve complicated maintenance and billing/invoicing functions, you’ll probably be better served by a paid solution. Thanks to the popularity of cloud platforms and the software-as-a-service pricing model, even smaller firms can afford to pay for a basic property management system. 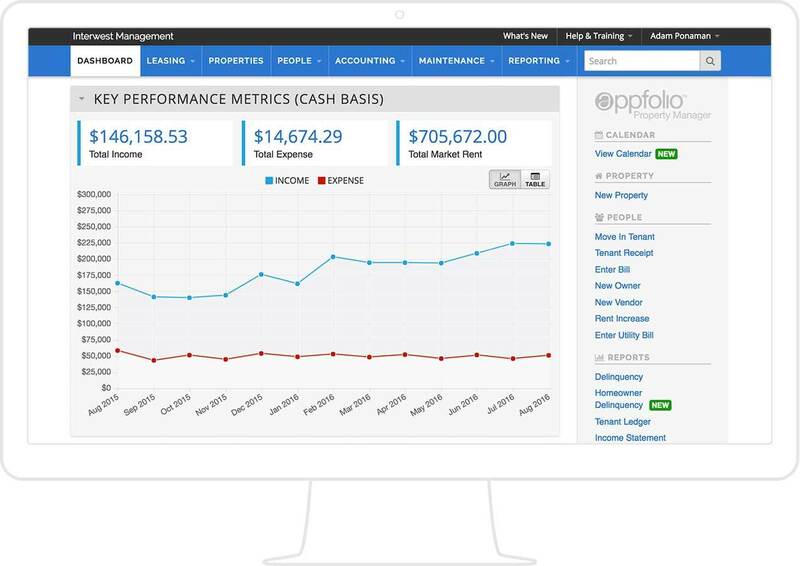 Most property management software gives users built-in accounting capabilities, ranging from basic ledgers for tracking payments received and bills paid to more advanced financial planning and investment management. These features help you track the way money flows through your communities and properties, and can help you design a budget that maximizes profit. Similar to customer relationship management (CRM) systems, some of the best property management software will allow users create contact entries and store relevant data for tenants, contractors, property owners, and other parties. Usually, these contacts are tied to other system modules, like work order systems or online rent payment, to help you track and control the appropriate aspects of your relationships. Lease management features help users organize and automate key processes of the tenant lease lifecycle. This may include advertising vacancies, screening applicants, scheduling inspections and viewings, drafting and filing documentation, and managing renewals or move-outs. Maintenance management helps property managers create work orders in a centralized system and track progress. 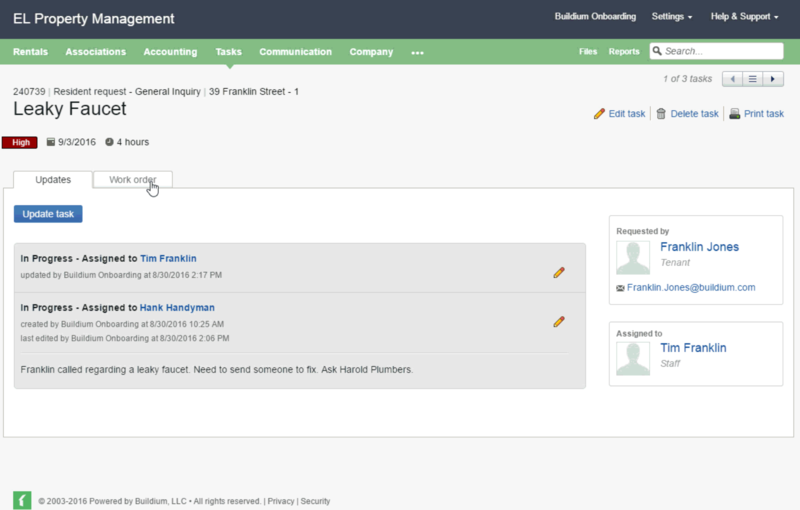 They also provide communication tools (for contractors and maintenance staff) and the ability to schedule multiple requests within limited time frames. Some property management systems even include an online portal where tenants can directly submit new maintenance requests. More sophisticated systems will often include additional features such as investment management and forecasting, after-hours answering services, check printing, and built in renter’s insurance. Not every property manager will have a need for these, but should consider their needs and select a product with the right balance of functionality and affordability. McGrath Real Estate Services is a property management company based in northern Virginia. Initially, the company was managing about 250 properties with a different property management system. After several years of rapid growth, they decided to shop for a new system—one that would help them continue to expand their business and work efficiently. They chose AppFolio for its comprehensive functionality. Metropolitan Properties of America, a full-service real estate investment firm based in Boston, Mass., operates in growing real estate markets across the country. They signed on with Yardi in 2002 and further benefited from the addition of Yardi Energy Solutions to Yardi Voyager in 2009. They jumped on the opportunity quickly because of Yardi Energy’s seamless integration with Voyager, which allowed them to maintain data control and better workflows between remote properties. Prior to Yardi, Metro Properties had to slog through a tedious, time-consuming utility-billing process to reconcile with rent rolls. To compare solutions, read property management software reviews, and get a custom recommendation, use the Product Selection Tool Above.